Players started their competition in PTC10 to get prepare for the UK Championship next week . 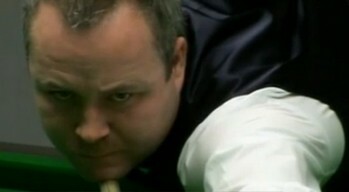 John Higgins versus Stephen Hendry in the last 32 was the match of today. Higgins beaten David Hogan and Adrian Gunnell while Hendry defeated Daniel Wells and Martin Gould in the previous rounds. The two Scotsmen had a cracking clash which they produced eight half-centuires or more in total out of seven frames. The two multiple world champions locked at 3-3 to play a decider while Higgins won it with 67. Higgins now plays Neil Robertson who beaten Mark Allen in second round on Monday. Marco Fu produced two centuires in his match against Joe Perry in last 32 but still lost 3-4. Fu had a good run of snooker today by compiling five centuries in total which he made at least one in every match he played. Rory McLeod overcame Stephen Maguire and Nigel Bond to reach the last 16 on Sunday. Amateur Chris Norbury was the biggest surprise of the day, stunned Anthony Hamilton by 4-2 in the first round, 4-1 against Matthew Stevens and 4-2 over Andrew Norman in the final round of the day. Norbury is going to face 'The Shotgun' Jamie Cope on Sunday. Michael Holt shocked the world number 1 in the final round, beaten him in decider from 2-3 behind with 74 and 57 in the last two frames. PTC3 Winner Ben Woollaston was unstoppable today, winning three match to consolidate his top rank in the PTC Merit list, including a win over Ali Carter.